Party casino and poker is one of the most famous online gambling sites, if not the famous of all. It operates since 2001 and is one of the pioneers of online gaming. Maybe due to their size, it took Party some time to adjust to the mobile revolution and only in 2011 they’ve launched Party casino mobile app and Party poker app. During the past few years they’ve done a good job catching up with the rest of the gambling world and nowadays they offer one of the top mobile casino apps on the market. Party offers a great welcome bonus to new players. They will double your first deposit, meaning 100% bonus up to $100 Free. Not only that, you will also get 50 Free Spins on your favorite slot. In order to get the free spins, all you need to do is to make a deposit and click on slot machine you wish to play the free spins on, and that’s it. The free spins will be activated automatically. Mobile Slots: The number of mobile slots that Party casino app offers isn’t the greatest, but the variety of the slots and the quality compensates for a relatively low number of games. There are about 20 mobile slots available on the app, including such famous names as Aztec Gold, Cleopatra slot, Kung Food and more. Mobile Progressive Slots: In addition to regular slots, you can also play Mega progressive slots from Party’s The Big One Jackpot series. Currently there are 4 progressive slots available on mobile, Going nuts, Melon Madness, Loot’En Khamun and Mega Fortune Wheel. The biggest jackpot on these slots, so called the Colossal Cash Jackpot is worth $1,820,950. Just recently, in October 2014, a player won an astonishing $3,589,344 jackpot playing Loot’En Khamun slot on Party casino app. 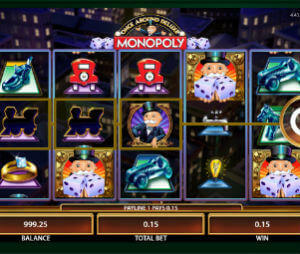 This is the biggest jackpot won in the history of mobile casinos. Casino Table Games: Besides slot machines, you can find 4 video poker games, few blackjack games, European roulette, live roulette and other classic casino games. Party Casino mobile app offers the best payment solutions services in online gambling. They have an enormous variety of deposit methods: credit cards, debit cards, e-wallets, including the popular e-wallets for each country, Bank transfer and more. Any method you wish to use – they probably have it. Needless to say that all transactions are 100% secured and encrypted. Withdrawing your winnings is very simple. There are plenty of methods to choose from and the payments are processed usually on the same day or within 24 hours. The maximum withdrawal amount per month is set on $20,000 for Bronze level and goes up to $150,000 per month for the Elite class. Download the appropriate Party casino app for your device. Click on the Join Now button at the top of the screen and sign up. If you already have an account at Party casino then you can just sign in. *If you have any trouble on the way, you can contact the customer support which is available 24/7 by country specific toll-free phone number, email or live chat. *By the way, if you don’t want to play for real money, you can play all party mobile games for free. Party Gaming was founded in 1997. Party Gaming flagship brand, Party Poker and Party Casino were launched in 2001. In 2011 Party Gaming merged with Bwin Interactive Entertainment and formed Bwin.Party Digital Entertainment company. Bwin.Party is a public company and it’s listed on London Stock Exchange under the symbol BPTY.L.